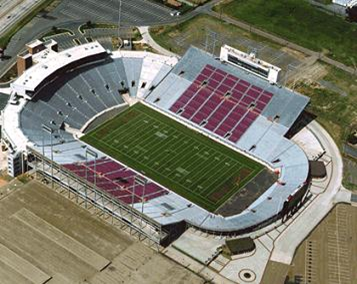 This project closed in the end zone of Independence Stadium and replaced the cast-in-place structure with precast. The 3-level addition with concourses and seating for 600, includes six corporate suites. Precast elements included precast beams, columns, flat slabs, double tees, wall panels and post-tensioned raker beams.